an occasional journal by Linda Proud. I’ve just finished Ackroyd’s The House of Doctor Dee and am stunned. Not only is it superbly well-written, it dips into the gold of truth, which makes it one of those rare books: one that changes the substance of the reader. An alchemical book in all respects. I find it impossible to write of my own time. This age lacks all colour and interest, not least in language. Oh, that we could say something like, ‘I could easily answer your fond comparisons, no doubt taken from some flibber-jibber knave that feigns tales. But I am not disposed to argue the matter.’ Instead I gaze in sorrow at fashions that are unspeakably dull and unflattering, and listen to language that lacks all colour and the texture of variety. Write of my own times? Some succeed. I think of nature writers, or travel writers, or poets such as Laurie Lee (although even he was nostalgic). But write a novel reflecting modern times? Oh, my chin falls at the prospect. Take a look at David Mitchell’s Cloud Atlas to see a perfect portrait of the horrible decline of language from the loveliness and nobility of the nineteenth century into the monosyllabic gobbledegook of the future. Arise, England! Learn to love words again! Learn rhythm and variety! Claim your amazing inheritance! Once upon a time, all text was continuous on the page. The only division was into chapters to denote a change of topic. The Greeks devised a slash mark called the paragraphos to separate one idea from the next, and it came into the West, I believe, via the printing house of the Venetian, Aldus Manutius. The modern symbol for the paragraph break is found on the toolbar of Word, but it's only used to show us the hidden line breaks on a page. I don't know when starting a new line with an indent began, but it was certainly before the invention of the typewriter. When that piece of new technology arrived, writers had to push the carriage back to the left and hit the tab. Ah - what a moment. It could be a brief but useful respite from typing (no RSI in those days), or it could be a means of self-expression. When the carriage returned to base it rang a bell, so in typing classes, in order to be top budgie, all you had to do was make your bell ring more often than anyone else's; and in your employment you sent the carriage back hard enough for everyone to know what you felt about your job. When word processors came along, they rightly emulated the use of the return bar and the tabulated indent, but unfortunately it is a silent process offering no respite at all. Bob advises me that the way to do paragraphs in this blog is simple if retrogressive: use the space bar. It seems not to work: in preview I lose all the indents. I've looked into it further and Wikipedia says that if you use the p code at the beginning and at the end it will form paragraphs - will it heck: it just gives you a double-line space. I think I can safely declare the indent to be an endangered species. Modern simplicity has much to recommend it. Back in the 70s I was told off by my boss in a publishing house for not indenting each line or using commas when typing an address on a letter, but I simply could not see the point of all that time-wasting. Perhaps I've grown into my boss, but I abhor the business practice of separating paragraphs by two line spaces and no indent, at least I abhor it as a general application. The style does have its place and its use. In fact I use it all the time when writing reports on novels, in which I tell the authors not to use it. Open any novel and you will not find the text laid out that way. If it is then it has been produced on the cheap by chimps. Agents and publishers still want to see manuscripts in double-line spacing. If you use the new-style paragraphing, it not only looks repellant - especially in dialogue - but it wastes acres of paper. The indented paragraph is literary. It presumes intelligence on the part of the reader, the ability to follow a flow of ideas. Bite-sized, bullet-pointed information is for corporate reports and other low forms of the written word. I first noticed semi-colons in the novels of Melvyn Bragg. No doubt I'd been introduced to them at school, but I'd never used one. Having come across this tadpole of punctuation while trying to analyse the beauty of Bragg's style, I picked it up and took it home. These days the fashion is for short sentences. We think they make our work pacey. In fact they make it monotonous. In the quest for variety, the semi-colon is a very useful tool. The rule is simple: it separates two related sentences. Either side of the semi-colon there will be a verb somewhere. Example: Semi-colons are vital for good writing; they are, however, best used sparingly. Another current virus, set fair to infect the future, is the new style of paragraphing. I'll save my spleen on that one for another day. Meanwhile, anyone know how to do the proper kind on a blog? The proofs arrived in October. It's only when a book is on the page that you can begin to see it objectively. I found a few typos that two proof readers had missed, but I found a great deal more things simply requiring improvement. My typesetter is nice and sympathetic - I'm sure she won't mind that I've changed what seems to be every other word. And flipped two chapters (how did I miss that?). At least I haven't introduced any new characters at this stage. I have a writer friend who agreed to read the book some time ago. He emailed a couple of comments as he read then went silent. I waited a year. Then I asked another writer friend, could he possibly? would he have the time? Amazingly he agreed, but after I sent the typescript I heard nothing more. I chose to go the self publishing route after some bruising experiences with the big guys, and I love it. Apart from allowing you to do what you want with your book, it puts you in direct contact with the reader, and you don't have to go to any dreadful parties and pretend to be enjoying yourself amidst literary strangers. You can throw your own parties and invite your friends. But self publishing has one great drawback: just as there is nothing between you and the reader, so is there nothing between you and publication. No editor with a quick eye and sharp mind, someone who could point out to you what proof readers cannot - that you have two chapters in the wrong order. I could employ one, of course, but it would be a great expense. Perhaps I will in the future. In conversation with the first friend (after I decided not to be frosty any more), it turned out that I'd told him to stop reading because I was making so many changes. When this was discovered, he began reading the proofs, starting about a week after me. Next thing his computer crashed big time and, after having had comments on the first 150 pages, I have heard no more. As to the second friend, I emailed him to say I was at proof stage and, hey, life's busy - no hard feelings. Just as well. We met today unexpectedly and both laughed out loud, realising that if we hadn't had that exchange in the last couple of days, we'd have both been scurrying in opposite directions. He's been working himself into a ghost this past year and hadn't even the time to frame a grovelling apology. No hard feelings. So, I've gone to press without any help from my friends. Is this finally it? I will, of course, get the corrected proofs back to check. But I'm beginning to feel light and empty instead of down and depressed - and that's a very good sign that it's all over. One sign that you are coming to the end of a piece of work is when the idea 'I've finished!' begins to occur with ever-increasing frequency. How often I've said it these past few weeks! How often I've been told to go and celebrate, but I didn't feel like celebrating, not yet. I got up at 4am this morning to review the last-minute revisions of yesterday and then went for a long, hot soak in the bath. Suddenly, in the midst of steam and on the edge of sleep, I realised I had missed out a very key point. It happens so often, that one forgets to state the obvious, that I'm really surprised that I haven't learnt the lesson yet. Anyway, back to the draft which is the fifth of its kind titled 'Final Version'. I found the place where it should be and put it in. It did not cause seismic shifts in the rest of the text - a good sign. So then I sent it off to David, and sat for a couple of minutes watching the upload arrow on the envelope icon, feeling rather stupid and spent. David is now sending it to the typesetter. That's it then. Thirty-three years of work ended at 11.30 am on Friday 14th September, 2007. I did promise I would sing, but I don't feel like it. Perhaps that will come later. When I started writing, we used to have count words ourselves, without the aid of a computer. For a short piece, where the count often had to be precise, you would count each word. For a longer piece, you went by averages. A general average was 300 words per page but you found your own average and stuck with that. If I’d had to count every word in A Tabernacle for the Sun, I’d probably still be on the task ten years later. It is so easy to bemoan our computers and their tendency to spoil our days, so easy to forget the absolute boon of some of their features, word counting foremost among them, so far as I am concerned. It was a joy on my first Amstrad, but it still took a little time. Now it is instantaneous and I stare in wonder at how many words I’ve written, using how many characters, feeling a little cheated that the tool does not record the amount of words that I’ve deleted, because a word count is not a record of what is written, but of what has survived editing and revision. I’d like it to tell me that I did have five hundred thousand words, which went down to one hundred thousand words, and then up again to two thousand five hundred words. That would be interesting. So, how many words have I written in The Botticelli Trilogy? A Tabernacle for the Sun comes out at a beastly number of 166,660. Pallas and the Centaur is 174,219. The Rebirth of Venus – 184,146. Grand total: 525,025. Half a million words. Funny – it felt like a million. In the spirit of an old Cabalist, I’ve added those numbers up. Tabernacle = 7, Pallas = 6 and Rebirth = 6. Which all adds up to 1. The grand total also adds up to 1. Now, that is pleasing. Another wonderful thing of the modern world is Google. It can answer just about anything: the symptoms and treatment of concussion; how to make apple chutney; where Steeple Barton is; the right spelling of Zenobio, to name a few of the problems I’ve solved this week. In less than five seconds I’ve discovered that Tolstoy’s War and Peace has a word count of 553,890. Funny – I thought it was a million. Of course there is no comparison between the books, not least because Leo wrote his story in five years, whereas I took thirty-three. After months of wondering, here is the answer. You have reached the end when you look at your work and think, 'There's nothing more to do.' So off with it to the typesetter at the end of the week then, and start worrying about covers. It being such a lovely day, with sunshine and a cool breeze from the north, we spent nearly the whole day on the allotment and had a picnic lunch entirely organic and much of it fresh-picked. Never tasted anything so good. 'This is better than a holiday,' said David, staring out at Wytham Hill. We had company: Cowboy Catherine on the next plot, and Robin on the one after that. We were all happy, digging, hoeing and raking. This is the good life. Having just followed an American recipe for 'apple jam', I'm wondering if the Americans use the term 'chutney' - for chutney is what it looks like to me. Too hot to taste right now, but I'll try it in the morning and on toast. I reflected on this after spending two hours with Barbara Reynold’s magnificent book on Dante this morning. It is my aim to spend this bank holiday weekend with it, with occasional breaks to do other things like feed the family and keep the wash cycle going. Let everyone else rush off to swelter on motorways: I’m taking the journey that requires only that you put your feet up, let the mind relax, and the imagination drift back to 1300. . . The common practice of reading these days, at least in this household, is in bed before going to sleep. This is bad practice. For one thing, you only get about fifteen to twenty minutes reading; for another, it associates reading with falling asleep. This reading in dribs and drabs leads to a dribbling drab, at least so far as comprehension goes. What does it tell us? That reading is an activity which must always be displaced during busy days by other, more useful things. I am a writer; I have written all my life; I’ve read more books than most – and I have this ingrained guilt about reading as strong as anyone. My other summer book has been Tom Hodgkinson’s wise, profound and seditious How to be Idle. After the first few pages, I nearly tossed it aside as demonic. Happily, I read on. And now the obsessive, guilt-ridden puritan within is asleep, with a funny little smile on her face. And I have my feet up on a Saturday morning and am reading. 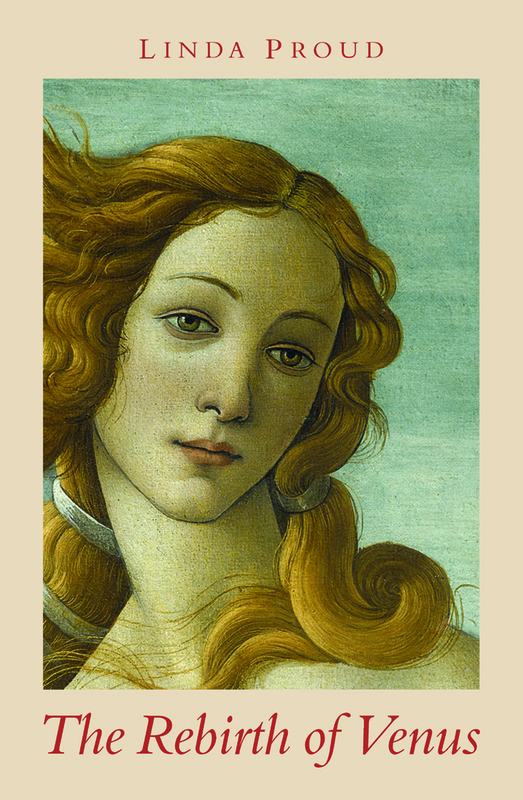 Many people have been asking recently when the third part of The Botticelli Trilogy will appear. Not just those friends I meet in passing, but readers of the other two volumes who bother to phone. There seems to be a bit of heckling going on from the Universe – a cosmic chorus of ‘Why are we waiting?’ There are two answers to the question of when: ‘by Christmas’ and ‘I haven’t finished yet’. It’s quite difficult to know exactly when you have finished a novel. It’s not just a matter of reaching the end: one does that many times over. It’s more a matter of determining which is the final ‘layer’. I think I’m there, but I’ve thought that at least three times this year. Satisfied with my latest version, however, I sent it off to our proof reader, Arthur Farndell, but before David had finished reading it. I also sent it to my agent in California. Now I’m having to contact both, saying, ‘Ooops, sorry, new ending.’ For David didn’t like this ending as much as the previous version, so I’ve spent the last week or so frantically reworking it to include the best of both versions. So, no bells and whistles, no fireworks, not so much as a thunderstorm to mark this momentous occasion. I do have a bottle of riserva bought at Montepulciano, awaiting a propitious moment. May be we’ll be opening it soon. Meanwhile there is still much to do. It’s an unwieldy narrative that has taken literally years to knock into shape, but David and Arthur both found it difficult to follow, not where we are at any time, but when we are (at any place). So I’ve devised a new kind of chapter heading, and David suggested a contents list, so that will keep me busy for a while. Then there is the cover to design, the essay at the end to finalise, the blurb to write, etc. etc. etc. When is a novel finished? When this fat lady sings. . . I came home, mulling over things. At the post office, Carl sympathetically gave me a free cabbage, rescued by one of the Wise Ones who got out there on the Saturday after the rains. I wish I were wise. I wish I had sangfroid. The question is, how to turn evil into good? I said to David, ‘This is our pivotal point. Do we give up, or do we make the most of the situation, clear the whole plot and go for raised beds? Deal or no deal?’ ‘No deal!’ And so that will be our August – getting the materials, marking out the site and doing what I’ve wanted all along, raising the beds. If it works, this will be our last year of such hard work. From now on we shall have weed-free, no-dig beds where one just plants and picks. I hope. . .
Scientists from the University of Bologna are going to do a DNA test to try and establish the cause of death (one cannot trust news reports, but if the scientist in charge really said that, in respect of the cause of Poliziano’s death ‘we’re going to find it was either poison or syphilis’, his work seems somewhat predetermined and not scientific at all). They are also going to try and reconstruct the faces so that we can see what they looked like. Given the excellent portraits of Poliziano by Ghirlandaio and Bertoldo, they have quite a lot to go on already (less so with Pico). Naturally my feelings are mixed. The mind is twitching with curiosity: how did Pico and Poliziano die? Will it affect my plot? Must I delay publication until the scientists have finished their work? What will the facial reconstructions show? Meanwhile the soul curls up and weeps. This is desecration. One can tolerate scientific curiosity about unnamed characters of the Bronze Age, but known men of only five hundred years ago? Or is known-unknown a silly distinction? Perhaps no bones should be disturbed except for very good reason. I suppose, however, that the scientists could claim that there may be a murder to solve. In recent exhumations of possible murder victims, however, the deed was done at night out of respect for the dead. When does such fine feeling evaporate? After how many years? Now we have to witness these poor fifteenth century bones being made a public TV spectacle. But, of course, I can’t wait to see the programme! The bodies were exhumed before, in the 1940s, but it was a discreet affair within the monastery. One American present – H. C. Bodman – wrote a short note of what he found. The body of Poliziano was reduced to a few fragments of bone, but Pico’s was well preserved ‘in as perfect condition as an Egyptian mummy’, dressed in gold and scarlet brocade. See the account in Juliana Hill Cotton, ‘Death and Politian’, Durham University Journal, vol. xlvi no. 3, 1954, appendix iii. It was our wedding anniversary two days ago. I remembered it three days ago, at which point I told David that we had forgotten it. It's been that kind of week. Hard to think that last Saturday was a nice, sunny day, the day after the storm, and we had no idea what was coming. Our only concern was that Art in Action should keep going, despite a boggy carpark. In 1947 Wolvercote was hit hard by the floods. This house was a sweetshop then, one of 13 shops in this small village. I wonder how much warning they had? Did they, like us, watch the levels on the meadow rise and rise, only to find that the water, when it comes, comes from the stream at the end of the road? Did they salvage any stock, or were they ruined? Did they cry, or were they too tired for that? We've been miraculously spared, except for the allotment. I tried to get there yesterday but all three routes across the meadow are blocked by fast-flowing and very deep water. After a week of suspense - which is, in itself, disorientating and exhausting - I think it really hit me then, the loss and the impossibility of salvage. It's debilitating to have to go and buy potatoes when only last week I thought I'd planted too many and was facing a glut. As a student of philosophy, I try to be philosophical: it's all a passing show. Success and failure - treat the imposters both the same. I'm disappointing myself. But at leastI understand why melancholy is common among philosophers: it is unexpressed grief. And then, when in the depths of the glums, one looks up to see the light catching the water, swans taking a free ride on the current, ducks colonising one of the islands, and beauty comes like a bright, golden blade to pierce the misery. For that moment, all is well and happy. In December, when I was just about to complete The Rebirth of Venus, we had to reorganise the house completely to accommodate my elderly mother. 'While we're at it. . .' said David, and the next thing I knew was that my study was stripped out, my books put into store, and I was painting the walls while David took up the floorboards to do a bit of rewiring. I finally got back to work in mid-January having completely lost the thread. 'No more upheavals,' I told him. 'Not ever, and certainly not this year.' Now, on the day when I was printing the novel out ready to go to the proof-reader and typesetter, the police came round to tell us we were on high flood alert. As I write this, upstairs is as stuffed as it can be with things from downstairs. Through the window I keep an eye on the waters rising on the water meadow. Friday's monsoon rains are due to surge down the Thames tomorrow morning. Meanwhile I think, I know, I'll design a website. While David makes sandbags out of my popsocks, I take my own precautions and email the entire trilogy to my agent in California. Author of The Botticelli Trilogy, and other books, and tutor in creative writing.